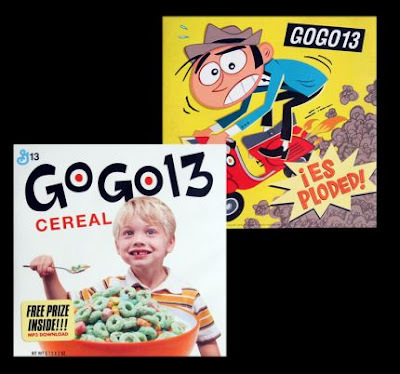 G13 Blog: GOGO13 - ¡Es Ploded! / Cereal 7" Vinyl Available online! GOGO13 - ¡Es Ploded! / Cereal 7" Vinyl Available online! ¡Es Ploded! / Cereal 7" Limited edition, hand numbered, double-single on orange colored vinyl. Comes with digital download MP3 card. Available now! Click here!